Texture files can have a transparency value, and as such we’d like to use it on occasion with 3D objects. The above image is created using flat square leaves, onto which an image of a leaf is projected. Outside the leaf, the area on the PNG file is transparent. 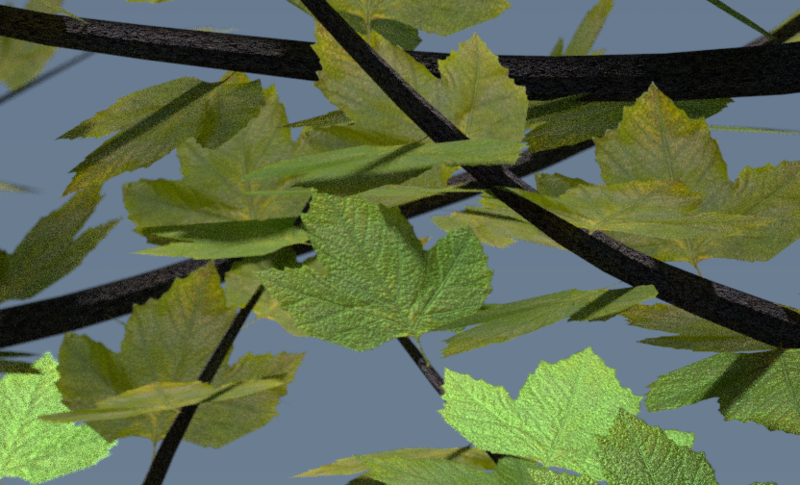 Here’s how to create a Cycles Shader in Blender that will show only the leaf and not the surrounding area of the texture.